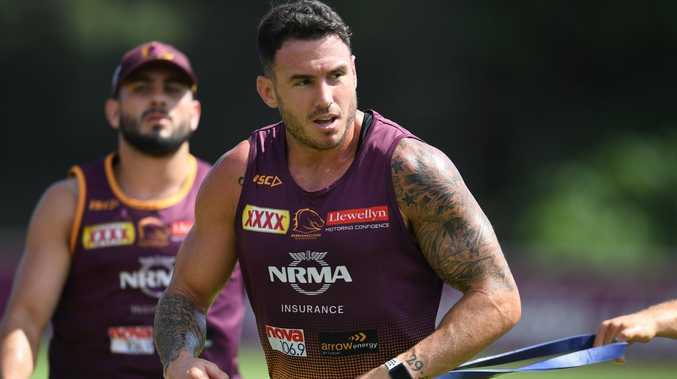 Darius Boyd says it would be hard to "turn down'' a recall from State of Origin retirement if he can sustain the form of his most encouraging game in more than 12 months. Boyd declared his retirement from Origin football last year, but Maroons coach Kevin Walters told The Courier-Mail on February 27 that the "ship hasn't sailed on Darius'' with Origin team selection. 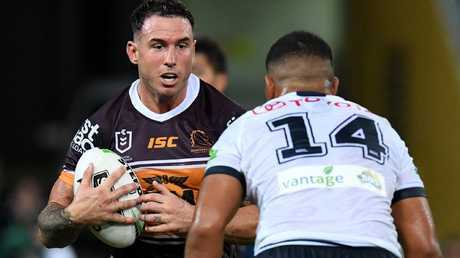 When responding to Walters' comments last month, the Broncos skipper said it was possible he could "reassess'' his status, but he was more assertive on Monday, buoyed by his lively hand in the Queensland derby last Friday and a punishing month of training. 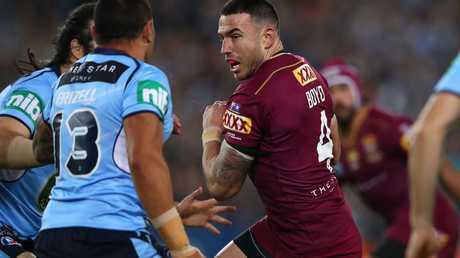 Boyd, who would be a trusty fullback for a Queensland team stripped of Billy Slater and Valentine Holmes, said he hoped to play well enough to be "in that conversation''. Asked if he would be available for Origin I if he was still playing well in a month's time, Boyd said: "If playing well in a month's time would you be available: I want to play at a high level and if that came about I might have to reconsider. "It's hard to turn it down. What I want is to even put myself in that conversation, not saying I want to play, because I retired last year. On the evidence of Brisbane's round 1 loss in Melbourne, former premiership teammate Darren Lockyer called for Boyd to show more urgency in his positional play and add variety to his attacking game. "Last year, whether it was injuries or confidence or a few other things, I know I wasn't at my best and it was pretty disappointing,'' Boyd, who is Origin's second all-time try scorer with 17, said yesterday. Slater said the Broncos thrived in their 29-10 win over the Cowboys when Boyd was able to attack in concert with playmakers Kodi Nikorima and Anthony Milford. "They played their (numbers) 7-6-1 together a lot,'' Slater said. Boyd said Broncos coach Anthony Seibold wanted to see if teams could "go with'' Brisbane's up-tempo style, which they want to reproduce against St George Illawarra at Suncorp Stadium on Thursday night. "That's the way we want to play and we've been training like that all year,'' he said. "We have been getting some great data through our GPS at training and the coaching staff has been great at relaying that to us. We have some talented guys who can do some special things and we have a really fit and athletic squad, especially some of our forwards. The Storm's energetic start to their round 1 match and wrestling tactics made that ambition more difficult to achieve, Boyd said. 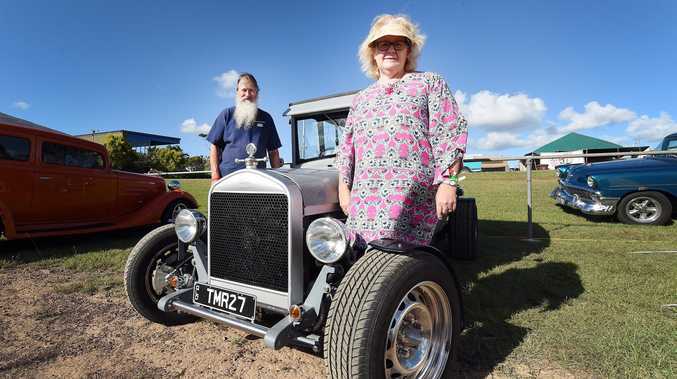 "They defended well and wrestled a lot … and made it a slower game,'' he said.